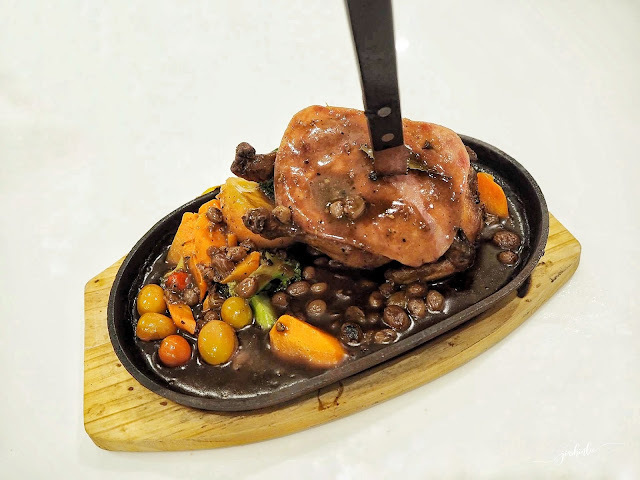 Fullhouse Signature recently launched some new items on their menu and I've got a chance to sample their new additions in store. 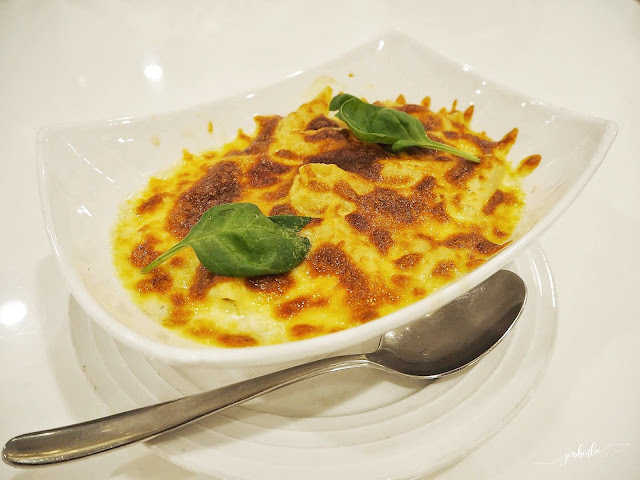 Fullhouse Signature is located inside Sunway Pyramid shopping mall on level LG. 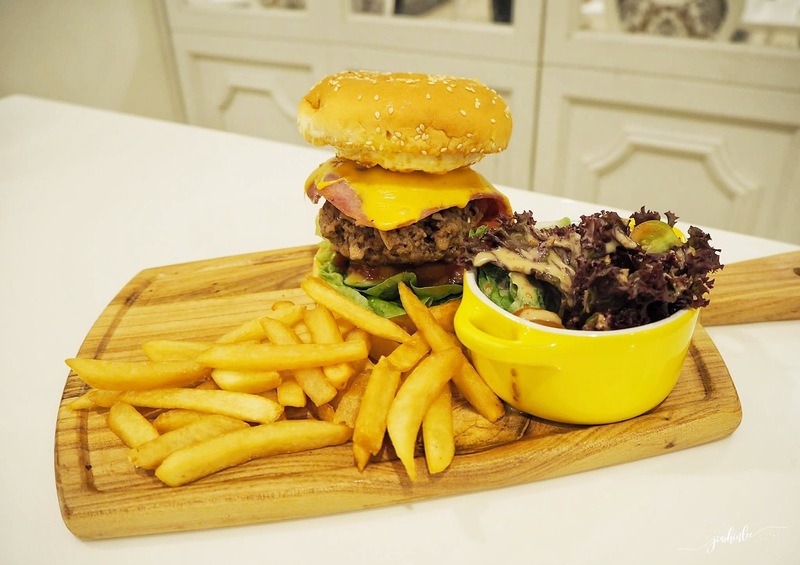 The cafe serves a list of western food as well as some oriental dishes besides the food they also offer an extensive list of beverages. The lifestyle store and cafe is divided into 3 section, there is the courtyard lookalike area as you enter, the dining area as well as a private seating area. This themed cafe is perfect for those who love taking dreamy pictures, this cafe will surely be your paradise. 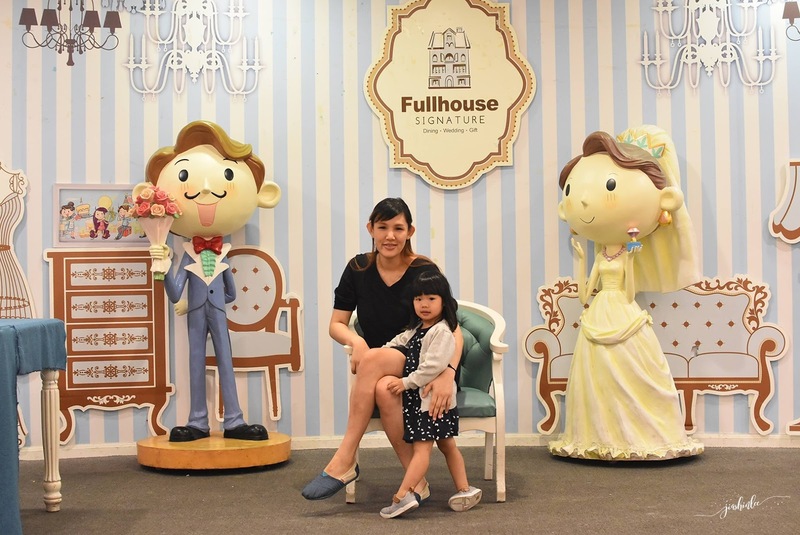 With the cutest ambiance and decoration, Fullhouse Signature is also a great venue for parties, events, and weddings. Anyway without further ado, let's take a look at their new items. Baked lobster with cheese might sound like a simple method of cooking. Do not let the simplicity of this dish fool you, it is extremely delicious, the lobster meat was tender, soft and rich in flavors, I enjoyed every single bite of this. The lobster comes with sides of fries and salad. 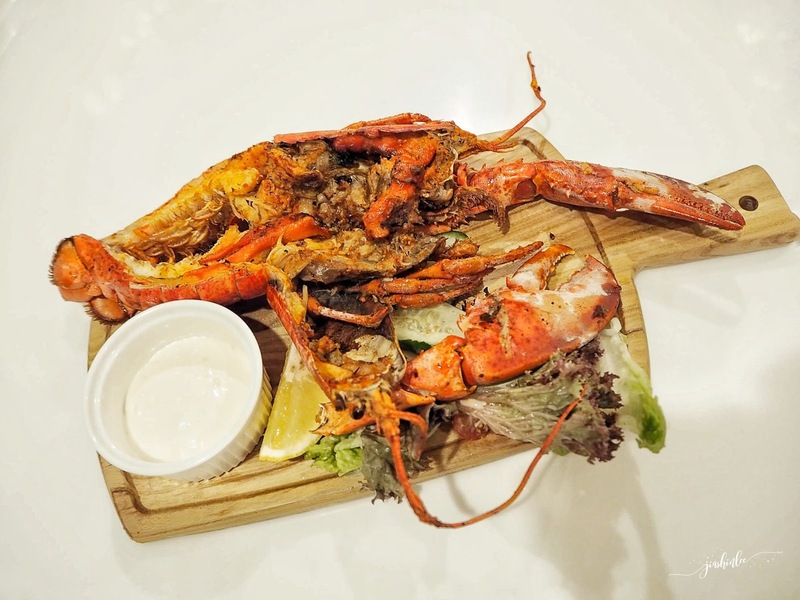 Grilled lobster with sides of fries and salad, this is another dish I love, the smokiness of the grill balances the richness of the meat while intensifying its flavors. 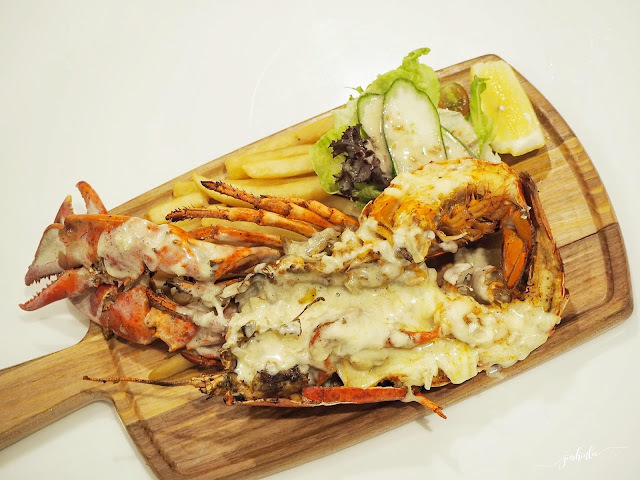 Fullhouse is running a promo with this dish, all you got to do is order any ala carte main course to enjoy this grilled lobster for only RM69.90! What a deal right? If you love burgers this is highly recommended, the patty was very fresh and juicy, with every bite there'll be juice spilling out at the side, it was perfectly cooked and seasoned. Served with crispy fries and a side dish of vegetables. Drizzled with black pepper sauce on the chicken upon serving. The spring chicken was cooked nicely and juicy, I enjoyed how the skin was crispy and not overcooked. It was served with vegetables on the sides and a piece of ham. A hearty pasta dish, this dish was just so rich and creamy not to mention the generous portion too. 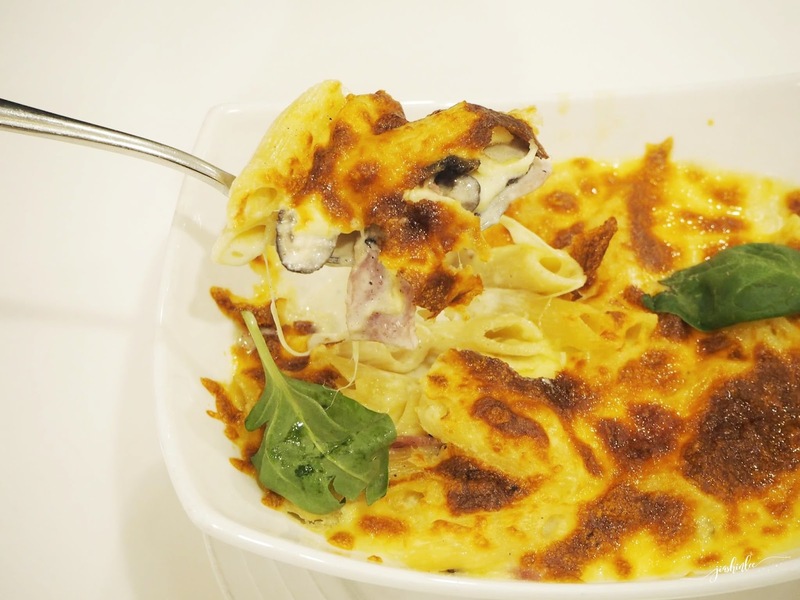 A must try if you love cheese, this pasta dish will not disappoint you, it is filled with amazing flavors. The Fullhouse special fried rice is served with a sunny side up, golden and crispy fried boxing chicken and sides of vegetables. The Oriental Set is perfect group of 3-4 pax. Each set comes with 3 meat dishes to choose from with complimentary vegetables of the day and 3 bowls of rice. Here are the dishes I really loved - marmite boxing chicken, yin yong fish, Thai style tofu and kam heong chicken. 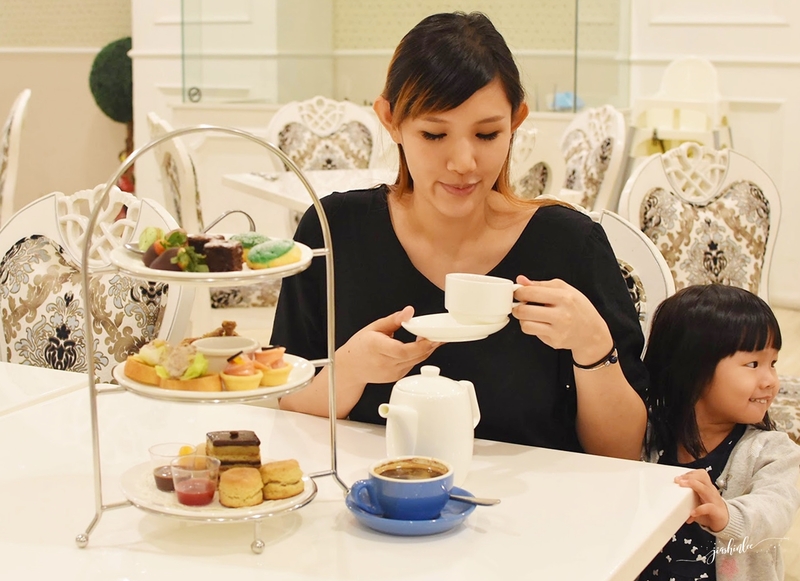 Looking for a high tea session with your friends or family? Fullhouse provides you with a high tea set as well, the menu consists of 2 cups of hot beverages of your choice, dipped chocolate strawberries, sliced cakes, smoked salmon tartlet, tuna corn bruschetta, puff pastries, deep-fried boxing chicken and mini scones. For desserts, check out their egglets. Egglets are made from sweet, egg-rich batter, Fullhouse serves a variety of flavors - Original, Chocolicious, Charcoal Cheese, Matcha Red Bean, Sesame Mochi and my favorite Cheesy Egglet. Oh my god... The food presentation is as dreamy as the restaurant's ambiance. Definitely gonna check out this place. I love fullhouse because it feel like in fairy tale to dine here. the food not bad too. all new menu above is so yummy and make my mouth watering already.. hahaha.. Fuh.. that ultimate burger look tempting..
awww~ Fullhouse never failed to impress me..I do love their egglet! Gonna try out their sizzling spring chicken, oauhhh! super hungry!! Wow, all the food really look nice. I wonder how much the High Tea Set costs? Is it head or per set? i always wanna try dining at this restaurant. meybe next time i should really try dining here with my bff. The pictures look so tempting !! Need to get there ASAP. Thanks for sharing with us ! Cantiknya tempat dia 😱😱 kena masuk list ni. Harganya ok? Makanan semua nampak best sekali... lobster tu nampak menarik sekali! Oh my. From the deco and the food presentation all is IG-worthy punya. I bet the taste also sedap kan babe. you always get to eat amazing food. life is not fair. lol! jealous sebab makan dah xgemok2.. dahlah u pregnant but still look gorgeous..